Slower is creative superhero story, deft in its use of history and physics to make the implausible seem plausible. Fourteen-year-old Emit Friend is a typical high school freshman with an atypical ability—the power to slow down time. Emit discovers this power while daydreaming in class. Emit decides to test his abilities and prank his friends and family. He also slows down time to set up favorable plays for the Giants at a football game, uses his powers to defend himself against the high school bullies who taunt him, and shoplifts a new video game. When a Gutenberg Bible disappears under mysterious circumstances from a Russian museum and becomes international news, Emit puts two and two together and deduces the existence of a second slower. When the slower’s path crosses Emit’s in the unlikeliest of places, Emit must choose between using his powers for his own benefit or using his powers for the common good. Science, philosophy, economics, and history integrate into the narrative to creatively explain how Emit’s slowing works. Physics principles are broken down into digestible components. Historical events provide context to boost the kitchen sink of conspiracy theories that dominate the second half of the plot. Conspiracy theories involving the attempted assassinations of Hitler during World War II and the assassination of John F. Kennedy receive extended coverage, setting the scene for one particular slower’s call-to-action. Primary characters show genuine depth, even as secondary characters follow common high school tropes and fall into good-guy, bad-guy stereotypes. Characters show both strength and vulnerability in their actions. The slowers use and abuse their powers for selfish reasons; sometimes they experience crises of conscience and faith from using their gifts, and other times they use them to attain what they perceive as the better collective good. Secondary characters tempt slowers into abusing their powers. Although there is a fair amount of dialogue between characters, the story relies on heavy exposition to provide extended points of view for each of its main characters. The story starts slowly and accelerates midway through to reach its nail-biting ending. The slow start helps to establish the motivations of the characters, giving them a playful tone. The last half of the book is intense and suspenseful, and the ending results in a nice surprise. 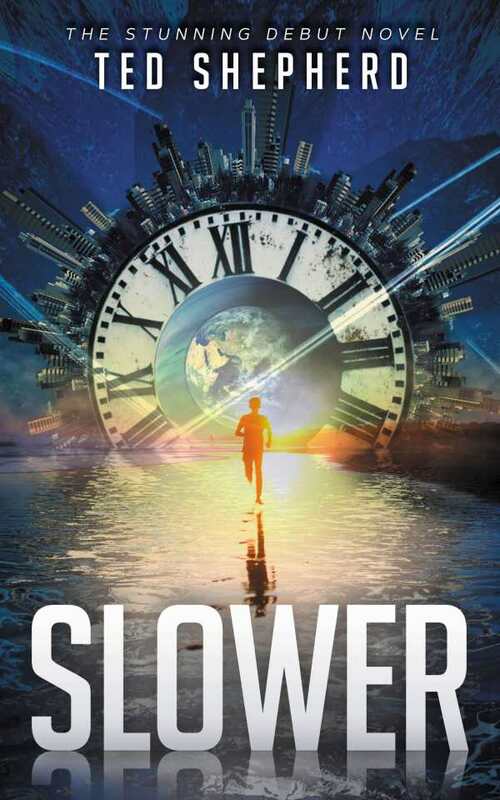 Slower is a formidable addition to the superhero genre that shows a lot of creativity in its deft use of history and physics to make the implausible plausible.